The plan I drew up called for a 2-car garage, but our builder changed it to a 3-car garage (for golf-cart storage) and we were very glad he did. Although we have never had a golf cart, we have had no trouble filling up that extra space with kayaks, bikes, storage cabinets, exercise equipment, etc. At least a half-dozen houses in our neigborhood (Isabella) which were built with 2-car garages have had a third bay added on for their golf carts. Naturally, it's cheaper to get that third bay to start with. Craft also made the garage deep enough for us to put storage cabinets in the back. 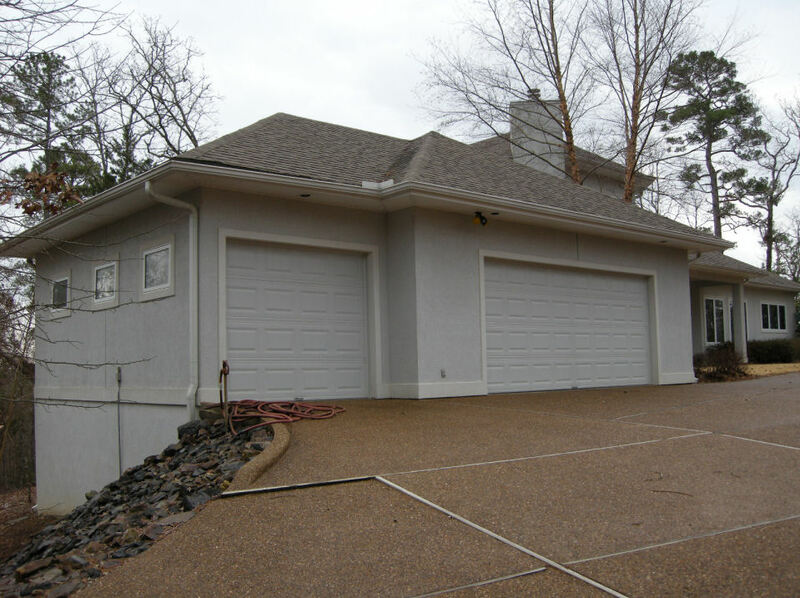 Adding a few feet to the length of a garage is a relatively inexpensive option and one that you will probably never regret. We did not get storage cabinets built into the garage, which turned out to be a mistake on my part. When we finally went shopping for them, we found that they are big and heavy, making them difficult to transport, and are not a lot of fun to put together. They are also pretty pricey compared to getting cabinets built in during construction when they can be made up of studs, sheetrock, and plywood shelving. So in Judy's floor plan, I specified a storage closet built into the back of the garage. To the left of the closet, just outside the laundry room door, is space for an upright freezer. To the right of the closet is where the water heater is located. A "people door" is another feature to consider. In our house, we placed it where we could exit the garage right by the deck steps and on into the house. In Judy's, the door is on the right side of the garage so that if Judy is working out in that area or needs to get to the breaker box, which is just out that door, she doesn't have to go through the front or back door or through the garage door. Finishing the garage floor with an epoxy coating is another popular option. It protects the concrete from oil and other stains and makes it easy to clean, plus it looks better than bare concrete. An external pad on the garage door frame for activating the door opener is a must. Even with a walk-in door, we use the access pad frequently. 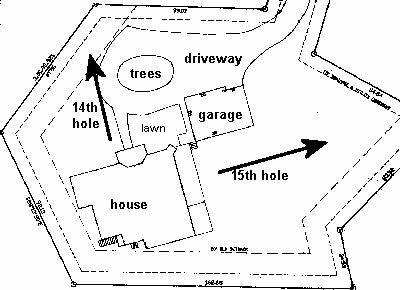 The biggest change I would make if I could go back in time would be to put the garage under the house where the lot slopes down. At the planning stage, we had no idea how much the lot sloped. It would still have taken some excavation, but the cost of building a 3-bay garage as a separate structure with stucco exterior walls has to have been the most expensive, and least convenient option. With a fraction of the money saved by putting the garage under the house, we could have added an elevator from the garage up to the den and on up to the loft. The laundry room (and the garage itself) serves as a mud room. Garage doors facing the side rather than facing the street make the house look bigger and landscaping in front of the garage is more attractive from the street than having two or three garage doors facing the street. But putting the garage doors on the side requires a wider lot and a longer driveway. The lot width alone may be the deciding factor. A driveway leading to a side entry garage also makes for a longer walk to the front door for visitors and delivery people.